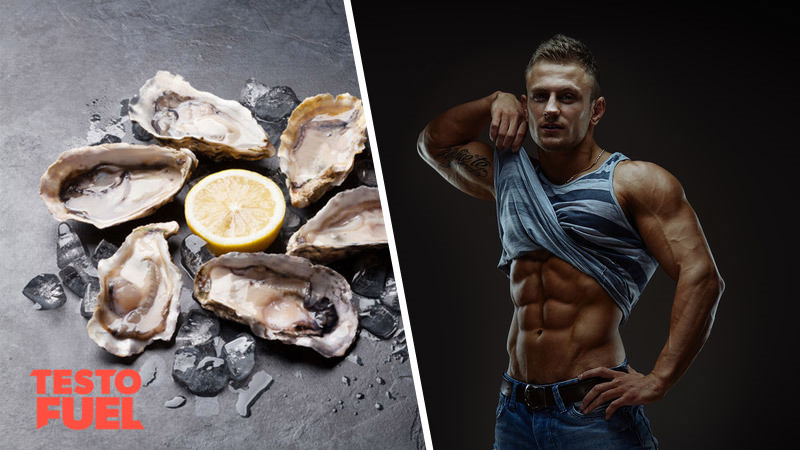 Does Oyster Extract Boost Testosterone? For centuries, oysters have been considered a strong and potent aphrodisiac. They are a delicacy that are packed full of nutrients. Many pharmaceutical manufacturers choose to use this food in their supplements because of its links to elevated testosterone, health and vitality. In this article we break down the science and tell you the benefits of this nutrient in your test booster. Oysters are a marine animal – salt-water molluscs belonging to the same family as mussels and scallops. And whilst not all species are edible, the ones from the Ostreoidae family are. They are classed as a bivalve mollusc as they are enclosed by a shell with two hinged parts. As a food, oysters are considered a delicacy. They can be eaten raw or cooked and are often eaten with other delicacies such as caviar or champagne. They provide a smooth, briny taste with a texture much like jelly. They’re not for everyone though. And that’s where extract becomes useful – all of the benefits without the taste and texture. Oyster extract is a health supplement derived directly from the animal itself. It is essentially a dried version of the meat with all of its nutrients in-tact. It is an extremely popular supplement with athletes, bodybuilders and health enthusiasts because of the number of benefits it provides. Oysters are one of the most nutritious marine foods you could lay your hands on. They are low in calories but provide a powerful fat and protein punch with relatively low carbohydrates. But the best nutrient you’ll find in this seafood in zinc – and although different farming methods change the zinc content, you could be looking at 1,000% or more of of your daily zinc value, just from a standard portion. Key Point: Oysters are a highly nutritious food that provide well over your daily value of vitamin B12 and zinc. Testosterone is a natural steroid hormone produced by the Leydig cells of the testes. It is responsible for much of what makes you a man – both anabolic and androgenic characteristics. Anabolic – helps build new muscle cells, increases protein synthesis and boosts maximal strength. Androgenic – chiselled jaw line, broad shoulders and a strong, assertive personality. When you reach puberty your testes create a surge of testosterone that provides all of these benefits. It remains high through your twenties but then starts to decrease as you hit your thirties – by around 1% per year. And if you’re not careful, lower than optimal testosterone can lead to an increase in belly fat, a loss of muscle mass and a change to your drive, motivation and energy. Zinc is a mineral with over 300 different metabolic roles in the body. Numerous studies have found that zinc and testosterone are very closely related. And not just in rats, but in human too. One study used 32 road cyclists to test the effects of zinc during exhaustive exercise . The group of athletes were asked to take 20 mg of zinc per day for 4 weeks and asked to take part in intense exercise sessions. After the 4 weeks, the cyclists showed a significant increase in free testosterone levels. Similar results were seen in a study involving over 55 well-trained football players as well . This time with doses of 30 mg over an 8-week period, researchers observed not only a significant increase in testosterone, but a big increase in muscle strength and power too. Key Point: Zinc has been found to boost testosterone levels in a number of studies. Over the last few years, the oyster has gone from a spiritual, god-like food to something that has been researched under laboratory conditions. And that means we know more about it now than we ever have before. Although we’re sure you’d be happy with just a boost to your test levels, oyster extract benefits aren’t limited to increasing your androgens. High testosterone levels don’t just improve your health and physical performance – it can also ramp up your libido and sexual desire too. So whilst oysters don’t directly enhance libido, the testosterone effect will. And if you needed any more reason to add oyster extract to your diet, a Japanese study found that when the extract was added to the diet of a group of depressed participants, it helped to boost their mood, energy and even immune function . 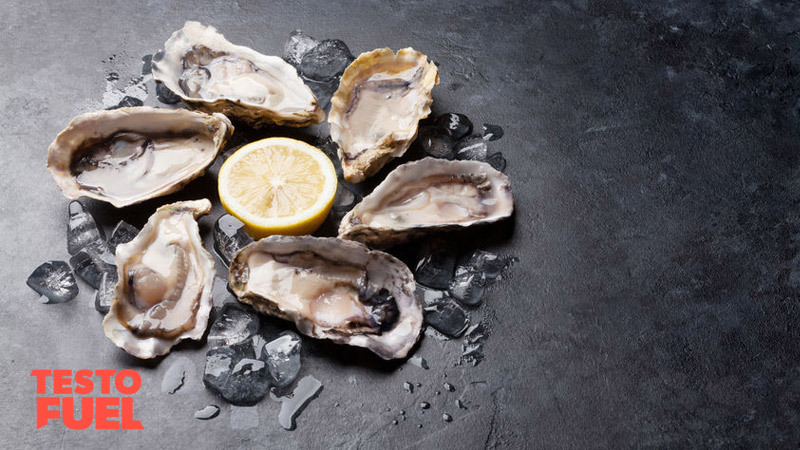 Oyster extract has long been considered a libido-boosting, aphrodisiac food source. There is a growing amount of research showing that it can positively influence your testosterone levels as well as your libido, sexual performance and overall health. It’s a great addition to your supplement stack and a must for anyone wanting to elevate their testosterone naturally safely. Containing a massive 100 mg of oyster extract and a test-exploding 10 mg of zinc per serving, TestoFuel is your gateway to big gains. Packed full of testosterone-boosting nutrients such as D-aspartic acid, magnesium and vitamin D3, this all-natural supplement will let you take your progress to the next level.